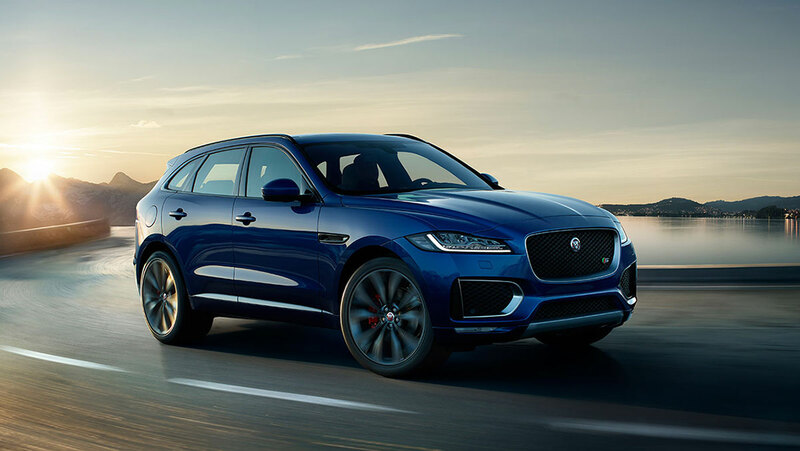 Changing the face of Jaguar with the F-Pace Crossover. When we think about Jaguar we normally think about a powerful sports car leaning into a tight turn before heading off on the open road, but the times they are a changing. SUV crossovers are one of the most popular car categories of all time and Jaguar has finally jumped on the bandwagon. The 2017 F-Pace is Jaguar’s first venture into this market segment, but I have a sneaking suspicion it won’t be their last. If you’re a tennis fan you might already be familiar with this vehicle as it was the official car of Wimbledon this year and if you’re not keep reading and we’ll tell you all you need to know. For a compact SUV this new market entry by Jaguar does a pretty good job of making space for your passengers. There’s lots of legroom, lots of headroom, and of course, they didn’t spare any expense on the comfort factor either. What’s probably more impressive though is the cargo volume you have available to you with this vehicle. When the seats are folded down you have 63.5 ft.³ of cargo volume which means you have a lot of space to pack your luggage for that week long camping trip with the family. A feature that really caught my attention was something they call All Surface Progress Control. If I’m being honest I expected the F-Pace to be an SUV in name only – I wasn’t expecting it to have any real capability for off-roading. Don’t get me wrong this isn’t a vehicle that you want to go deep into the bush with, but it can handle a little fun off-roading using the All Surface Progress Control system. The vehicle is all-wheel-drive making it easier to grip the trails as you head off-road, but it’s the All Surface Progress Control System that allows you to stay in control when you hit those off-road trails. Essentially, this system takes over the throttle and braking jobs for you while you concentrate on steering your vehicle. It makes it a lot easier to make quick decisions as you rip down those dirt trails. There are different versions of the F-Pace, but their premier S model has some pretty impressive power under the hood. It packs a 3.0 L V-6 at 380 hp – not too shabby. It can do 0 to 60 in about 5.1 seconds which is pretty impressive for an SUV or just about any other standard street vehicle. 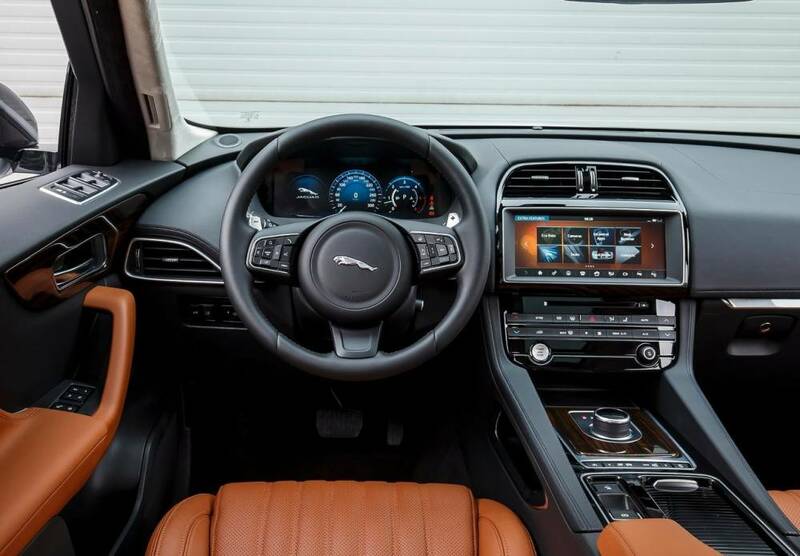 It may not be what you’re used to if you’ve owned a Jaguar sports car in the past, but that’s to be expected when you switch over to an SUV crossover vehicle. For the modern family, the vehicle infotainment system has become an essential part of any purchase decision – especially with an SUV which families typically buy with long trips in mind. The Jaguar F-Pace doesn’t disappoint in this area either. It has a 10.2-inch touchscreen with all the bells and whistles along with an 825 W Meridian sound system. It’s an impressive system for keeping the family entertained on long trips and with that kind of powerful stereo system mom or dad can crank the tunes when they’re out on the open road themselves reliving that misspent youth. In keeping with our love of technology Jaguar has also included full Apple watch integration with their vehicle – yes there is an app for that. Once you’ve downloaded the Apple watch app you can access a lot of information about your vehicle. It can tell you things such as how much fuel is in your tank, how far you can drive on that fuel, and even what your current odometer reading is. So if you’re planning on a long trip you can see exactly how far that tank of gas is going to get you without ever having to step foot in your vehicle. 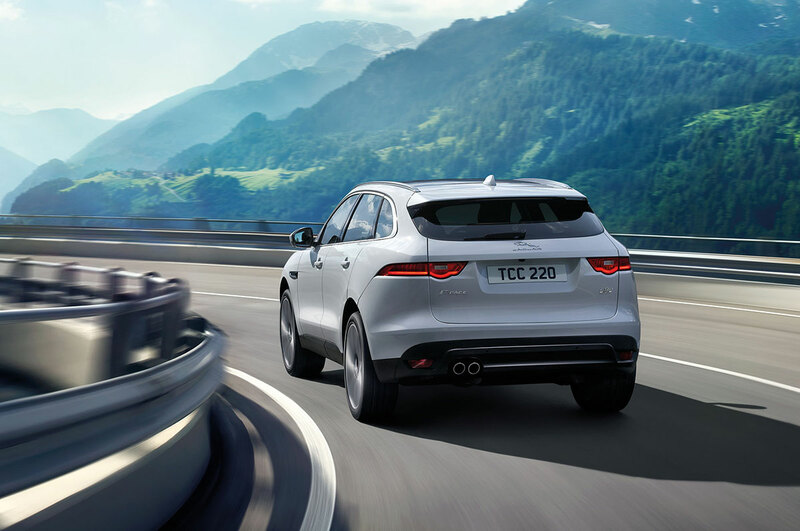 There is a lot to like about this new Jaguar SUV crossover. It combines a classic Jaguar look in a practical package that makes it great for families and sports car lovers alike. It’s likely not many of us ever dreamed of going off-roading in a Jaguar, but it seems that all of that has changed and only time will tell where Jaguar goes next.